As stated by the USEPA, "the purpose of this map is to assist National, State, and local organizations to target their resources and to implement radon-resistant building codes. 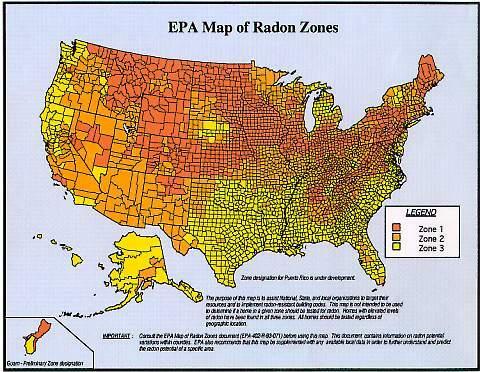 This map is not intended to be used to determine if a home in a given zone should be tested for radon. Homes with elevated levels of radon have been found in all three zones. All homes should be tested regardless of geographic location."